The Big Bang theory says that the entire universe was created in a tremendous explosion about 14 billion years ago. The enormity of this event is hard to grasp and it seems natural to ask ourselves ‘What was it like then?’ and ‘What happened before the Big Bang?’. Thanks to what physicists call the Standard Model, we have a detailed understanding of quantum physics, matter, energy and force that let us reproduce what the universe looked like as early as a billionth of a second after the Big Bang. The results of high-precision observational cosmology also let us verify that the Standard Model predictions match what we see as the general properties of the matter and energy in our universe up until this unimaginable time. We can actually go a bit farther back towards the beginning thanks to detailed studies of the cosmic background radiation! At a time 10(-36) second ( that is a trillionth of a trillionth of a trillionth of a second!) after the Big Bang, a spectacular change in the size of the universe occurs. This is the Inflationary Era when the strong nuclear force becomes distinguishable from the weak and electromagnetic forces. The temperature is an incredable 10 thousand trillion trillion degrees and the density of matter has sored to nearly 10(75) gm/cm3. This number is so enormous even our analogies are almost beyond comprehension. At these densities, the entire Milky Way galaxy could easily be stuffed into a volume no larger than a single hydrogen atom! 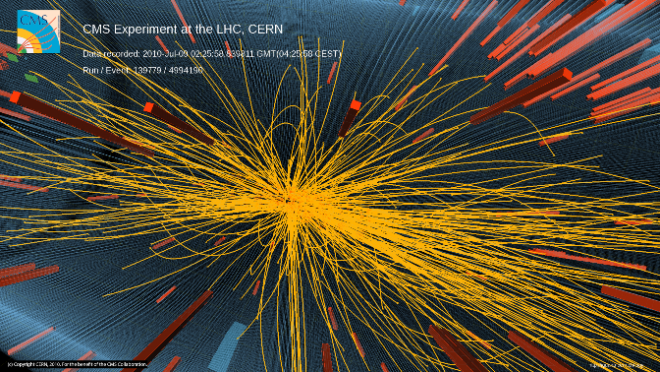 Between a billionth of a second and 10(-35) seconds is a No Man’s Land currently in accessible to our technology and requires instruments such as the CERN Large Hadron Collider scaled up to the size of our solar system or even larger! This is also the domain of the so-called Particle Desert that I previously wrote about, and the landscape of the predictions made by supersymmetric string theory, for which there is as yet no evidence of their correctness despite decades of intense theoretical research. Since our technology will not allow us to physically reproduce the conditions during these ancient times, we must use our mathematical theories of how matter behaves to mentally explore what the universe was like then. We know that the appearence of the universe before 10(-43) second can only be adequatly described by modifying the Big Bang theory because this theory is, in turn, based on the General Theory of Relativity. At the Planck Scale, we need to extend General Relativity so that it includes not only the macroscopic properties of gravity but also is microscopic characteristics as well. 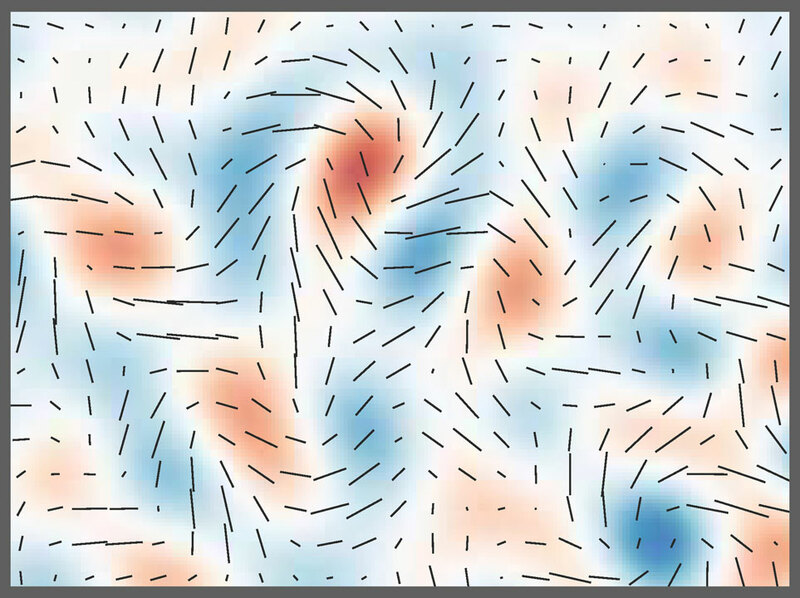 The theory of ‘Quantum Gravity’ is still far from completion but physicists tend to agree that there are some important quide-posts to help us understand how it applies to Big Bang theory. In the language of General Relativity, gravity is a consequence of the deformati on of space caused by the presence of matter and energy. In Quantum Gravity theory, gravity is produced by massless gravitons, or strings (in what is called string theory), or loops of energy (in what is called loop quantum gravity), so that gravitons now represent individual packages of curved space. The appearence and dissappearence of innumerable gravitons gives the geometry of space a very lumpy and dynamic appearance. 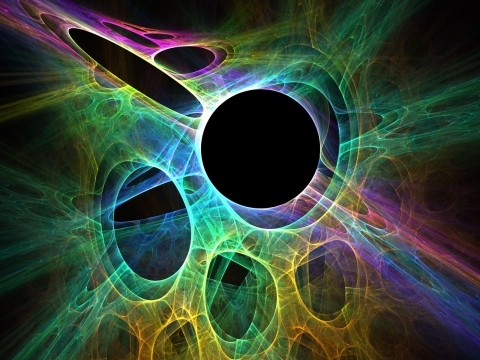 The geometry of space twists and contorts so that far flung regions of space may suddenly find themselves connected by ‘wormholes’ and quantum black holes, which constantly appear and dissappear within 10(-43) seconds. The geometry of space at a given moment will have to be thought of as an average over all 3-dimensional space geometries that are possible. What this means is that we may never be able to calculate with any certainty exactly what the history of the universe was like before 10(-43) seconds. To probe the history of the universe then would be like trying to trace your ancestral roots if every human being on earth had a possibility of being one of your parents. Now try to trace your family tree back a few generations! An entirely new conception of what we mean by ‘a history for the universe’ will have to be developed. Even the concepts of space and time will have to be completely re-evaluated in the face of the quantum fluctuations of spacetime at the Planck Era! Now we get to a major problem in investigating the Planck Era. Typically we make observations in nuclear physics by colliding particles and studying the information created in the collision, such as the kinds of particles created, their energy, momentum, spin and other ‘quantum numbers’. The whole process of testing our theories relies on studying the information generated in these collisions, searching for patterns, and comparing them to the predictions. The problem is that this investigative process breaks down as we explore the Planck Era. When the quantum particles of space (gravitons, strings or loops)collide at these enormous energies and small scales, they create quantum black holes that immediately evaporate. You cannot probe even smaller scales of space and time because all you do is to create more quantum black holes and wormholes. Because the black holes evaporate into a randomized hailstorm of new gravitons you cannot actually make observations of what is going on to search for non-random patterns the way you do in normal collisions! Quantum Gravity, if it actually exists as a theory, tells us that we have finally reached a theoretical limit to how much information we can glean about the Planck Era. Our only viable options involve exploring the Inflationary Era and how this process left its fingerprints on the cosmic background radiation through the influence of gravitational waves. Fortunately, we now know that gravity waves exist thanks to the discoveries by the LIGO instrument in 2016. We also have indications of what cosmologists call the cosmological B-Modes which are the fingerprints of primordial gravity waves interacting with the cosmic background radiation during the Inflationary Era. 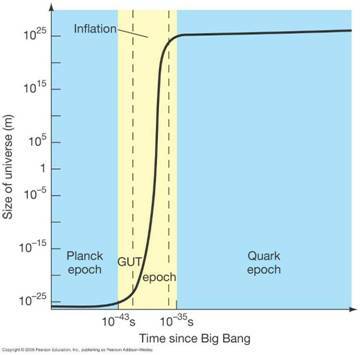 We may not be able to ever study the Planck Era conditions directly when the universe was only 10(-43) seconds old, but then again, knowing what the universe was doing 10(-35) seconds after the Big Bang all the way up to the present time is certainly an impressive human intellectual and technological success! Check back here on May 3 for the next blog!